Mayor for Life Barry said he's had a sexual relationship with the woman he's accused of stalking for several months. 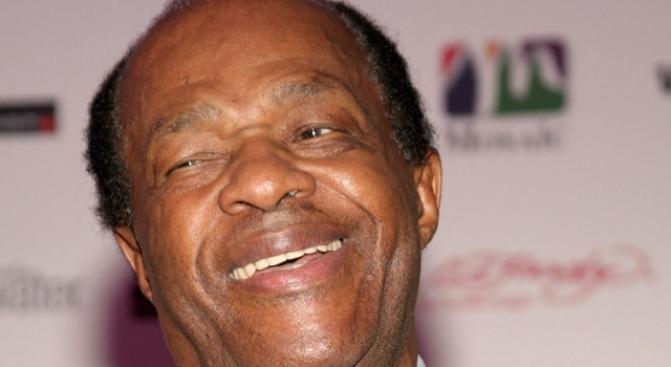 With his client standing behind him, attorney Fred Cooke announced Monday that Marion Barry denies stalking allegations from over the weekend. Cooke believes the charges will be dropped. "We believe that the charge is baseless," Cooke said. "We believe that the charge stems from a personal relationship that has gone horribly wrong in a lot of ways, and has resulted in one party in that relationship striking out at Mr. Barry." The latest chapter of Barry's legal problems began over the weekend, as the D.C. Ward 8 councilman and former mayor was arrested Saturday night and charged with stalking a woman in Anacostia Park. The park was full of people who were there to watch Fourth of July fireworks at the time of his arrest, said U.S. Park Police said. A woman in a car flagged down an officer around 8:45 p.m. and reported that the occupant of nearby car was stalking her, said police. The woman was identified by a Barry spokeswoman as 40-year-old Donna Watts-Brighthaupt -- a friend of Barry's with whom he has reportedly had a sexual relationship. Neighbors reported seeing Barry at Watts-Brighthaupt's home often. Barry considered Watts-Brighthaupt a close friend and helped out the woman in the past, said Barry spokeswoman Natalie Williams. Watts-Brighthaupt wouldn't go on camera for an interview but she did release a statement on Sunday obtained by NBC. "I didn't flag anyone down. I did not file charges. The police pulled them over... He got pulled over for a traffic violation and he tried to cut me off," Watts-Brighthaupt said. "Those who truly know Marion Barry will not be so quick to condemn me," Watts-Brighthaupt said. "And those who've taken the time to know me through Marion will not be so quick to defend him." Barry was charged with misdemeanor stalking after Park Police detectives consulted with the U.S. Attorney's Office. He was subsequently released but must appear in superior court on Thursday. Authorities sought Watts-Brighthaupt Monday for a more complete statement. Before she left, she told News4, "I didn't intend for it to go this far." Barry and Watts-Brighthaupt were on their way to Rehoboth Beach, Del., on Saturday when she changed her mind, Cooke said Monday morning. The two had stopped in Annapolis for lunch and abruptly returned to Washington. Shortly after that, Barry was arrested. Barry was arrested on his way home from Watts-Brighthaupt's house, Cooke said. The conflict between the two apparently started last Tuesday when Barry felt threatened by Watts-Brighthaupt's ex-husband and asked that he be barred from city hall, Cooke said. He questioned Watts-Brighthaupt's credibility, saying she changed her story from the time when police said she accused Barry of chasing her. Previously, the councilman's spokeswoman denied all the stalking allegations. Natalie Williams said Watts-Brighthaupt and Barry had lunch earlier in the day. Barry ran into the woman again during Fourth of July festivities in Anacostia Park but was on his way home, alone, when the incident occurred, Williams said. The accusations against Barry constitute a "betrayal," said Williams, who added that the woman has accused Barry of stalking her before. Barry plans to fight the charges and questions his treatment by police, she said. Watts-Brighthaupt released another lengthy statement after Williams addressed the media, challenging her remarks. Watts-Brighthaupt appeared to deny that she accused Barry of stalking her. "It is senseless to publicly and 'officially' accuse Marion of stalking after having a meal with him an hour earlier," she said, going on to cite Barry's previous trouble with the U.S. Park Police. In 2002, Park Police said they found traces of drugs in Barry's car. "Once prosecutors conclude their findings and substantiate their charge, I could only hope that the consequences are just," Watts-Brighthaupt said. She did not immediately return telephone calls seeking clarification. Read the three-page statement by clicking here. Barry served three terms as mayor from 1979 to 1991. In a 1990 FBI sting, he was videotaped in a hotel room smoking crack cocaine. He served six months in prison and returned to the mayor's office for a fourth term in 1994. As councilman of Ward 8, Barry represents neighborhoods such as Anacostia, Congress Heights and Washington Highlands. Barry will remain on the council, despite this latest round of legal troubles, Cooke said. "This is unfortunate, but it's not a distraction of such a proportion that it would keep Mr. Barry from attending to the business of the council and the citizens of the District of Columbia," Cooke said. Barry is on probation since 2005 for failure to file or pay income taxes for several years. His probation was extended to 2011 last year. The arrest is not likely to affect Barry's probation unless he is convicted of the charge, Cooke said. He is still married to his fourth wife, Cora Masters Barry, because a divorce has not been finalized between the two.